• Tourist information:	Ivybridge (off route), Buckfastleigh (seasonal). the north side of Ivybridge, where Harford Road arrives from the north to cross the Exeter-Plymouth railway line to reach a T-junction. For Ivybridge town centre keep ahead on Harford Road (staggered junction, downhill, no entry for cars). 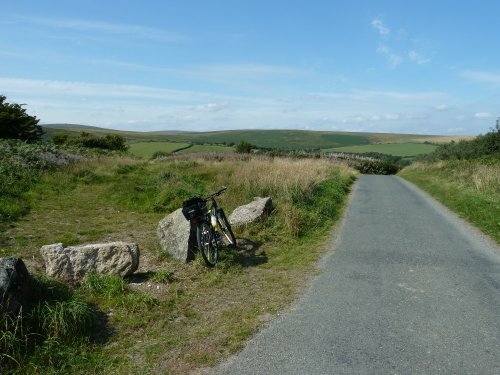 Ivybridge is easily accessed via the A38, and the only town on the Dartmoor Way to have direct access to the main rail network (the station is passed soon after the start of the route description). The original hamlet developed at a handy crossing point of the River Erme, and later became a staging post on the London to Plymouth road; the railway arrived in 1848. Ivybridge - which developed as a mill town during the 19th century, utilising the fast-flowing waters of the Erme - only officially became a town in 1977, four years after the opening of the A38 bypass. The Watermark Information Centre is down in the town near New Bridge, built in 1823 just downstream from the older Ivy Bridge, originally a 13th-century packhorse bridge, passed at the bottom of Harford Road. Turn left and follow Cole Lane to meet the B3213. Turn left and follow the road (intermittent cycle lane) - soon passing Ivybridge station - for 2.4km / 1.5 miles to reach Bittaford. Towards the end of the railway viaduct turn left to pass beneath it on Wrangaton Road. Pass Moorhaven Village and follow the lane on; keep straight on at Marwood Cross. After another 800m turn right at Shute Cross (leaving Sustrans Route 2), signed to Owley. Follow very narrow lanes through the hamlets of Cheston and Owley, eventually descending to a small bridge over the Glaze Brook and ascending to a junction by farm buildings. Turn left on a lane (Unsuitable for vehicles), eventually dropping to a T-junction. 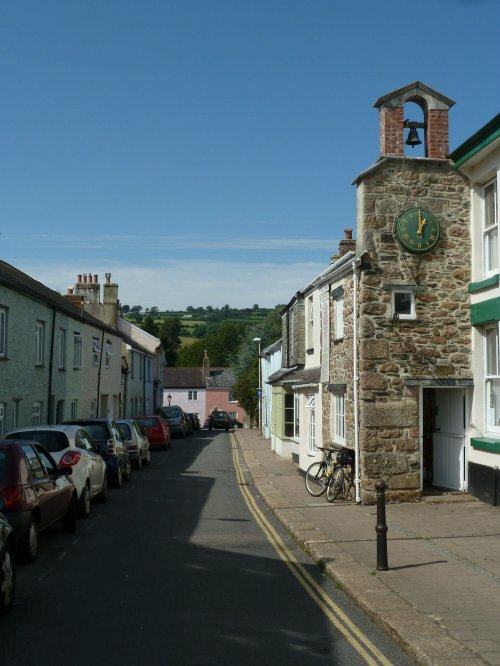 South Brent is a pretty little town on the River Avon below Brent Hill, just a short ride down and over Lydia Bridge (Lydia Mill was owned by the family of the renowned Dartmoor writer William Crossing). South Brent is on the mainline railway, but its station closed in 1964. Before the 19th century and the coming of the turnpike roads most of the village`s trade was transported by packhorse (hence The Pack Horse Inn on Plymouth road). St Petroc`s Church is one of the finest in Devon, with a massive Norman tower. The lane ascends through the hamlet at Aish, then descends to run alongside the Avon River. Cross a cattle grid to reach Shipley Bridge (car park / toilets / information board). Side-trip to the Avon Dam. Turn left through the car park and follow the tarmac way alongside the River Avon (picnic tables) for 2.4km/1.5 miles; return the same way. The immediate area has a rich history. Shipley Bridge car park is situated on the remains of the former Brent Moor china clay works. The raw material was transported here along a tramway from the Redlake workings northwest of the Avon Reservoir, which was constructed in the 1950s. Cycling up to the dam will take you past the site of Brent Moor House, a substantial Victorian property, home to the Meynell family, which fell into disrepair and was finally demolished in the 1960s. 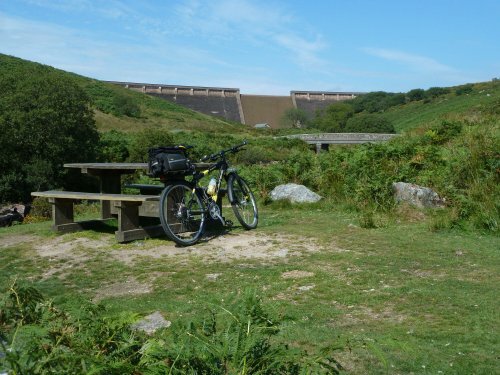 Above the western slope of the valley sits Rider`s Rings, an enclosed Bronze Age settlement; while the Abbot`s Way, an ancient route linking Buckfastleigh and Tavistock abbeys, runs along the northern edge of the reservoir. at Deancombe. Turn left, soon crossing a bridge. 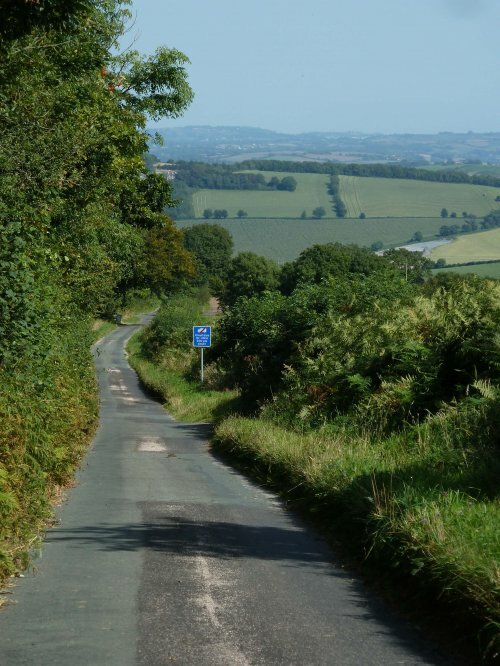 Ascend to Coxhill Cross and keep straight on to reach the outskirts of Buckfastleigh opposite the football ground. Turn left on Duckspond Road. On meeting Wallaford Road turn right, then right down Bossell Road. Follow signs left down New Road; turn right and continue downhill and through the town centre (restricted access). Buckfastleigh, a former woollen and tanning town on the River Mardle, has much to recommend it. The Dartmoor Way passes The Valiant Soldier - `the pub where time was never called` - frozen in time since the 1960s, next to the TIC on Fore Street. 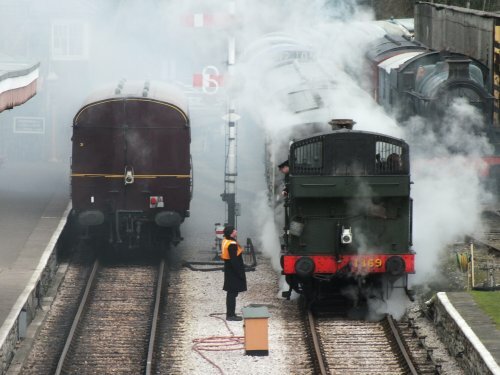 The South Devon Railway, a preserved steam line (the commercial line closed in 1962), runs trains south along the Dart Valley to Staverton and Totnes. The town hit the headlines in the late 1930s with the nationally important discovery in a local cave system of the fossilised bones of many extinct animals from 125,000 years ago. On meeting Dartbridge Road turn left to pass the South Devon Railway and a garage (left) to soon meet a mini-roundabout at Dart Bridge (High Moor Link joins from the left).